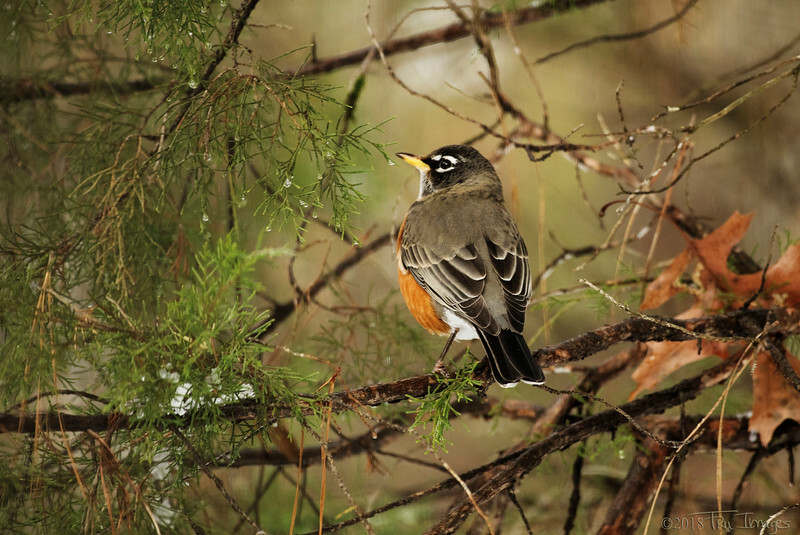 A robin sitting in a tree during our winter storm earlier this month, perhaps wishing for an early spring ! LOL, lovely shot! Nice details and colors. Bet it is warm there also, 69 when I got up this AM. Still in the low 60's. Happy New Year. Excellent capture.... I love everything about this! Simply beautiful..!! Happy New Year, wishing you the very best! Beautiful capture! Happy New Year! What a little beauty! I wish you a very Happy New Year and I'm looking forward to seeing more great photos from you in the coming year. Outstanding shot. Have a great New Years, looking forward to some great photography from you in 2019. Fantastic capture...we won't see robins again for quite a while! Happy New Year! Lovely shot and great title.